Marine reserves—sections of the ocean where fishing is prohibited—promote coral reef sustainability by preventing overfishing and increasing fish abundance and diversity. But to be effective, they need to be sized right, and in a way that accounts for how far juvenile fish travel away from their parents after spawning. Scientists at the Woods Hole Oceanographic Institution (WHOI), along with researchers from Australia, France, and Saudi Arabia, have successfully measured the dispersal distances of two coral reef fish species across a 3,000 square mile section of the ocean—an area the size of Yellowstone National Park. The study, published in the May 8, 2017, issue of the journal Nature Ecology & Evolution, marks the largest, most comprehensive study of larval dispersal ever conducted and has important implications for the sizing and spacing of marine reserves. Marine reserves come in many shapes and sizes. But if a reserve is too small, it can’t accommodate enough larvae to sustain populations. And if it’s too big, larvae will simply stay within the confines of the reserve without contributing to surrounding fisheries—a critical secondary role marine reserves need to play to improve fisheries management. To overcome these limitations, Thorrold and his colleagues took direct measurements of dispersal distances in the field. 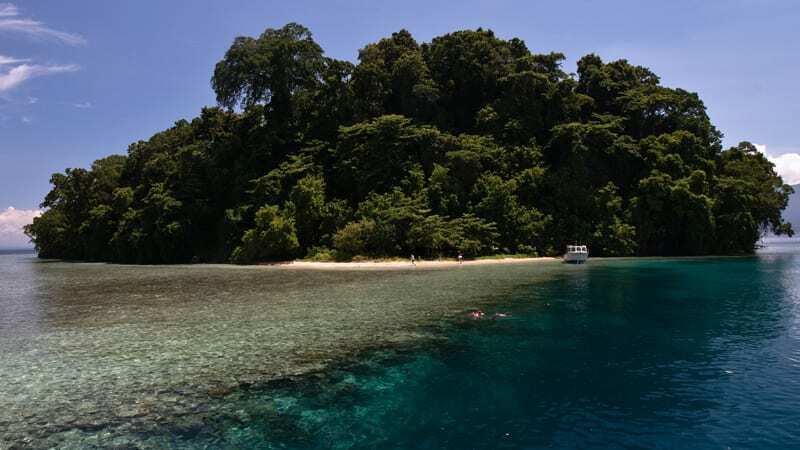 They collected DNA samples from thousands of adult and juvenile clownfish and butterflyfish throughout Kimbe Bay, Papua New Guinea, in 2009 and 2011. The entire sampling process occurred underwater, with the 30-person science team spending thousands of man-hours on SCUBA over several weeks in the field each year. When the scientists returned to the lab, they used DNA parentage analysis, a sequencing technique that allowed them to match the juveniles up with their parents based on the DNA samples and spawning and settlement location data. 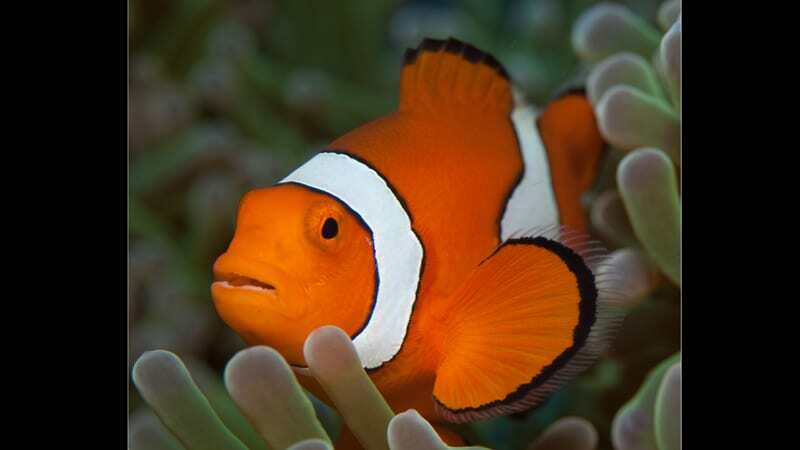 From that, they were able to determine that most of the juvenile clownfish stayed relatively close to home, settling at mean distances of 10-15 kilometers from their natal reefs. 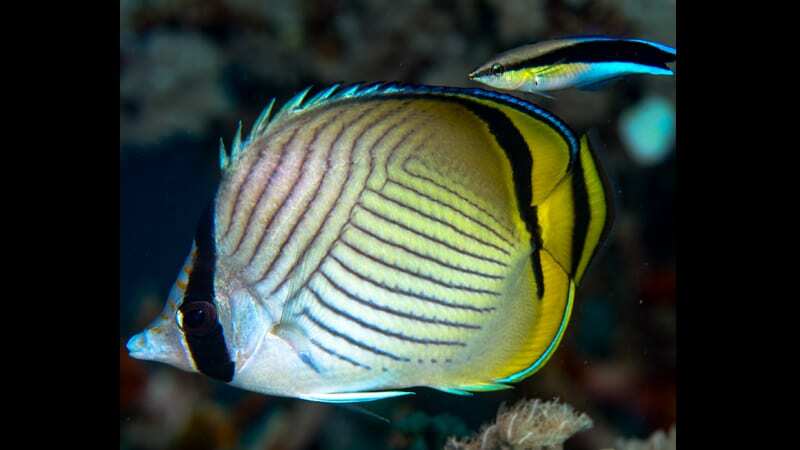 The butterflyfish dispersed further, averaging distances of 43-64 kilometers before settling into their new habitats. “Since we knew the respective locations of the adults and babies, we were able to come up with the exact linear distances that the larvae had dispersed. We’re no longer talking about estimates,” said Thorrold. In addition to helping inform the design of protected areas, the measurements can help to test the ability of reserves to perform key conservation functions. For example, one way a marine reserve network may improve fish population sustainability is through the so-called “rescue effect.” In theory, if fish in a reserve suffer catastrophic mortality, the reserve can be repopulated by larvae from other reserves within the network. Thorrold and colleagues were able to track larvae from one reserve to another in the study area, confirming that rescue effect is likely to occur in real-world reserve networks. The dispersal measurements could also allow fisheries managers to monitor the effectiveness of existing reserves, helping answer the question of whether or not a particular reserve is contributing to fish populations beyond its boundaries. This, according to Thorrold, has been a big unknown. According to Thorrold, as coral reef seascapes continue to face pressure from man-made stressors, marine reserves will continue to serve as an important conservation management tool. As such, it will become increasingly important to be able to provide direct measurements of larval dispersal, and find ways to apply the information to other regions of the ocean. This research was supported by Australian Research Council, the King Abdullah University of Science and Technology, and the National Science Foundation.